Grand Californian Villas - DVCNews.com - The essential Disney Vacation Club resource! Note this page is a work in progress. Additional details will be added as they are released. The DVC villas at Disney's Grand Californian resort are not scheduled to open until late 2009. ANAHEIM, Calif., Sept 18, 2007 – Responding to a growing demand for guest accommodations in Anaheim, the Disneyland Resort today celebrated an expansion of Disney’s Grand Californian Hotel & Spa that will increase accommodations by more than 30 percent and will include the first Disney Vacation Club villas in Anaheim. This expansion, scheduled for completion in late 2009, will involve 300 union construction jobs and result in 100 new hotel jobs. It underscores Disney’s long-term commitment to growing and investing in Anaheim. The expansion also marks the latest in a series of major additions to the Resort that include the newly launched Finding Nemo Submarine Voyage at Disneyland and The Twilight Zone Tower of Terror at Disney’s California Adventure. The 2.5-acre expansion on the hotel’s south side will add more than 200 new hotel rooms and 50 two-bedroom equivalent vacation villas. Those vacation villas, to include kitchens, living and dining areas and other home-like amenities, will mark the West Coast debut of Disney Vacation Club, Disney’s innovative vacation-ownership program. Other elements planned for the project include a rooftop deck for viewing fireworks, a new swimming pool and about 300 underground parking spaces. Peter Dominick of 4240, architect for Disney’s Grand Californian Hotel & Spa as well as Disney’s Wilderness Lodge and Disney’s Animal Kingdom Lodge at the Walt Disney World Resort in Florida is designing the ambitious expansion. It will reflect the same California Arts & Crafts architecture of the existing hotel, which immerses guests in a turn-of-the-20th-century California experience. Disney’s Grand Californian Hotel & Spa currently features 745 guest rooms, including 44 suites. Upon completion of the expansion project, the hotel will feature 945 guest rooms, including 44 guest suites, and 50 Disney Vacation Club two-bedroom equivalent vacation villas. Disney’s Grand Californian Hotel & Spa is an architectural and artistic celebration of California’s renowned Arts & Crafts style of the late 19th and early 20th centuries. One of three hotels at the Disneyland Resort (others include Disney’s Paradise Pier Hotel and the Disneyland Hotel), Disney’s Grand Californian Hotel & Spa is home to the nationally renowned and award-winning Napa Rose restaurant, where Wine Country cuisine tempts taste buds and expert sommeliers help guests make selections from one of the world’s finest collections of California wines. The nearby Storytellers Café lets kids and adults alike enjoy a dining experience that only Disney can do, complete with an array of popular Disney characters. These dining experiences, coupled with a luxury spa, onsite shopping and other amenities, helped the hotel earn the No. 3 spot on Travel & Leisure Family magazine’s list of the top family-friendly resort destinations. The development of 50 two-bedroom equivalent vacation villas at Disney’s Grand Californian Hotel & Spa represents the first dedicated Disney Vacation Club accommodations on the West Coast. Disney Vacation Club is a vacation-ownership program that helps families enjoy flexibility and savings on vacations for decades to come. 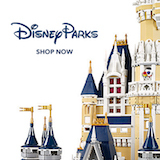 By purchasing a real estate interest in a Disney Vacation Club resort, families enjoy flexible vacations at Disney destinations worldwide as well as more than 500 other popular Member Getaways vacation locations around the globe. Disney Vacation Club, currently celebrating its milestone 15th anniversary, has grown to serve more than 350,000 individual members from more than 100 countries and all 50 U.S. states. The expansion project marks the latest growth for Disney Vacation Club, which recently opened the first phases of Disney’s Animal Kingdom Villas at the Walt Disney World Resort in Florida. The new Disney Vacation Club resort, located at the popular Disney’s Animal Kingdom Lodge, is scheduled to open in phases through early 2009. Construction is already underway on the new Kidani Village building and amenities, with completion scheduled for late 2009. Located on approximately 500 acres in Anaheim, Calif., the Disneyland Resort includes the Disneyland® and Disney’s California Adventure® Parks, three hotels with a total of 2,224 rooms and the 310,000 square foot retail, restaurant and entertainment Downtown Disney® District. With 20,000 employees, the Disneyland Resort is Orange County’s largest single-site employer and a $3.6 billion annual contributor to the local economy. In January 2004, the Resort welcomed its 500 millionth guest since opening on July 17, 1955. The Disney Vacation Club family of resorts also includes five other Walt Disney World properties as well as resorts in Vero Beach, Fla., and Hilton Head Island, S.C. Disney Vacation Club has sold out of inventory at its first six resorts, and sales remain ahead of schedule at its seventh property, Disney’s Saratoga Springs Resort & Spa, which opened in May 2004 near the Downtown Disney area at the Walt Disney World Resort, as well as at the aforementioned Disney’s Animal Kingdom Villas.